The Dubai Health Authority (DHA) is a government body which not only beholds the health system of the Emirate of Dubai, but also lends healthcare services to one and all through official hospitals, private healthcare setups, clinics and other healthcare facilities that come under its direct sight. This powerful program, which was established in the year 2008, takes care of services like launching and strictly ensuring appropriate policies and strategies for quality medical care in all the public and private healthcare organizations in Dubai, allowing genuine partnership between healthcare firms, and last but not the least, providing licensure and authenticating medical and paramedical professionals and health facilities. Its major aim is to improve the quality and credibility of the healthcare systems in Dubai, and DHA has achieved success by ensuring affordable and quality-oriented medical care to all citizens of the country. The Health Regulation Department in DHA is alone accountable for licensing medical services and those healthcare professionals who are applying for licence need to strictly pass the DHA exam for receiving licence in order to practice in Dubai. This stage takes an average of 4 working weeks, but you can also achieve completion within 1 week. Candidate will have to present additional documents requested by the Health Regulation Department to clarify the application for licence. 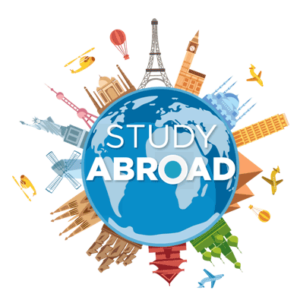 Attestation of qualifications and experience by UAE and Ministry of Foreign Affairs is NOT required. Since Primary Source Verification (PSV) will be carried out, it must be ensured that the applicants provide only authentic documents. If falsified documents are presented, the applicant will be amenable for prosecution as per the UAE Federal Law. Evidence of malpractice insurance is an imperative requirement for all applications before licence is being issued. The DHA assessment can be either Computer Based or Oral depending on the health professional’s category. BeMax Academy is providing DHA coaching for doctors, nurses, dentist, pharmacist, Lab Technician, Biochemist, Psychotherapist, dialysis technician, microbiologist, ayurvedic doctors, homoeopathic doctors, etc. As a pioneer in DHA coaching, more than a thousand students have cleared their DHA exams through BeMax Academy and are currently working in various hospitals and medical centres in Dubai. For all medical professionals, we have both online and classroom coaching for their DHA exam. Our teaching experts are continuously collecting the most recent DHA exam questions, DHA exam study materials and updating DHA exam syllabus for doctors, nurses, pharmacist, dentist, lab technicians, and other medical professionals. Our DHA exam result rates are 100% and that is why BeMax Academy has become the best coaching centre for DHA in India, Dubai and other Middle East countries. 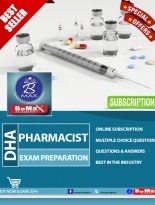 Bemax Academy has a 24x7 DHA exam registration service, using which we provide services like DHA exam registration for doctors, DHA registration for dentist, DHA exam registration for nurse, DHA exam registration for pharmacist, DHA exam registration for lab technician, DHA exam registration for ayurvedic doctors, DHA exam registration for homoeo doctors, DHA exam registration for biochemist, DHA exam registration for microbiologist, and DHA exam registrations for all other medical professionals. Our DHA exam registration service will enhance your registration process giving you the shortest time at lowest cost. You can directly contact our DHA exam registration customer care, either through customer care number +91 9544 88 7454 or by email to bemaxuae@gmail.com. If you search for best DHA coaching centre in Kerala, best DHA coaching in India, best DHA coaching in Dubai, best DHA coaching in Kollam, best DHA coaching in Pathanamthitta, best DHA coaching in Kottarakkara, best DHA coaching centre in Trivandrum, best DHA coaching centre in Kottayam, best DHA coaching centre in Thiruvalla,best DHA coaching in Karunagappally, best DHA coaching in Mevaram, DHA exam registration, DHA exam dates, DHA exam study materials, DHA exam previous questions, and best DHA exam coaching centre, the answer is BeMax Academy and we are here to help you with the right guidance. CALL US (+91 9544887854) today and get talking to one of our Helping Agents. Can you explain the experience needed for attending the DHA examination? In order to attend the DHA examination, all medical professionals need two years experience. Can you share information about the experience gap accepted for DHA examination? A maximum experience gap of two years is accepted for DHA examination. What procedures are required if the experience gap is above two years? If you have an experience gap of more than two years, you need to upload the scanned copy of CME (Continuous Medical Education) Certificate from the location you were present during the time of gap period. Can you provide information about the exam process involved and the pattern of DHA examination? What is Credentialing in DHA exam? Credentialing is the official checking procedure adopted by the authorities to ensure whether the candidate has met the necessary eligibility criteria for attending the DHA examination. Can you explain in detail about the Data Flow procedure in DHA examination? The Data Flow process is the second step in DHA examination after the Credentialing process. Data Flow is the certificate verification process to check whether all the certificates uploaded by the candidate are genuine or not. The authorities will verify whether the candidate has worked for the specified period, further inquiry about CME etc. What are the certificates needed for DHA exam? Can the internship period be added to the three-year experience needed for Doctors to attend the DHA examination? No, Doctors who wish to attend the DHA examination need an experience of three years excluding the internship period. What are the additional certificates needed for nurses attending the DHA exam? Compared to other professions, a Good Standing Certificate and BLS card are compulsory for nurses attending the DHA exam. How much time does it take for Credentialing process? Normally, it takes one week for Credentialing process. In certain cases, it takes about one month for completing the Credentialing procedures. How much time does it take for Data Flow process? It takes 30 Working Days for completing the Data Flow process. How much time does it take for attending the DHA test after starting the process? After getting the Credential Approval and submitting the documents needed for Data Flow, you can book the exam date within one week according to the availability of dates. How long does it takes for the results of DHA exam to be published? You will get the results within 3 to 5 working days. What do you mean by ‘Eligibility Letter’? The certificate issued by the Dubai Health Authority to all candidates who passed the DHA exam is called ‘Eligibility Letter’. What are the procedures after a candidate has passed the DHA exam? A candidate who passed the DHA examination should start applying for jobs in hospitals in Dubai. Once he/she gets a job offer, the hospital authorities will undertake the task of the candidate’s licensing process using the eligiblity letter and the job offer letter. After completing the procedures, the candidate will be issued a licence. Where can I attend the DHA exam in Kerala? DHA exam is conducted in Prometric Centres and in Kerala, the exam is conducted in Trivandrum. Can I apply for a revaluation if I am not satisfied with my DHA exam results? No, you cannot apply for a revaluation. You need to attend the exam once again if you failed in the first attempt. How many times can a candidate attend the DHA exam? A candidate can attend the DHA examination three times in his/her lifetime. Is there any age limit for writing the DHA exam? No, there is no age limit for writing the DHA examination. Is it possible to work outside the Emirate of Dubai for a candidate who passed the DHA exam? If a candidate has passed the DHA exam; after working in the Emirate of Dubai for six months, he/she can convert to HAAD or MOH licence without attending the HAAD / MOH exam.